Marginalia. As a young reader I recall making casual sideline notations in margins of my books and, in time, detailed marginalia, underlining, and highlighting expanded into my college and medical school textbooks. Later, during residency I heavily personalized my pages of Campbell’s Urology trying to digest them intellectually. The habit persists and marginal notes help make sense of what I read and leave reference points to which I can easily return. 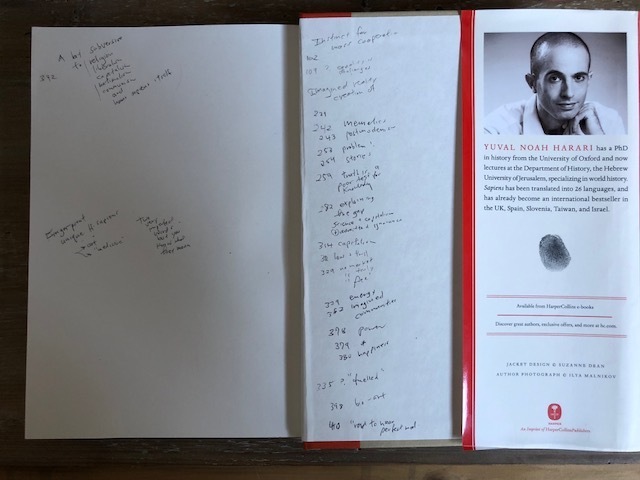 Other reading has replaced textbooks my marginalia drifted to and consolidated on end pages, creating personalized indices of page references and related comments (below “end-page marginalia” in Harari’s Sapiens). Marginalia-making has been a human habit ever since books existed with numerous famous examples as early as amusing marginal drawings by monastic scribes alongside their serious transcriptions. 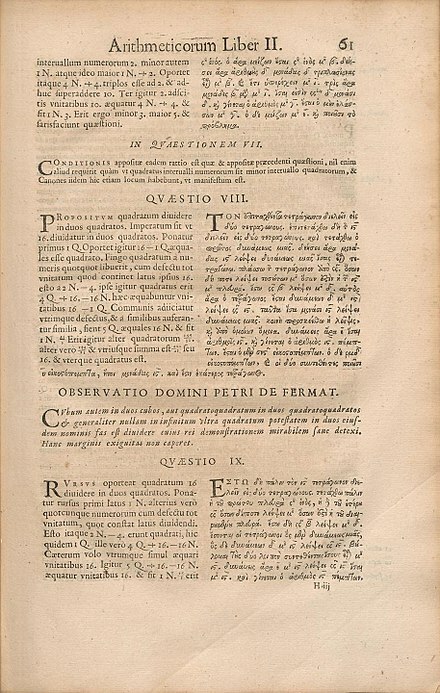 A notable marginal comment unsettled the world of mathematics for nearly four centuries after French lawyer Pierre Fermat wrote in the margin of a book he was reading in 1637 that he had solved a puzzling mathematical conjecture, but claimed his solution was too large to fit the margin. 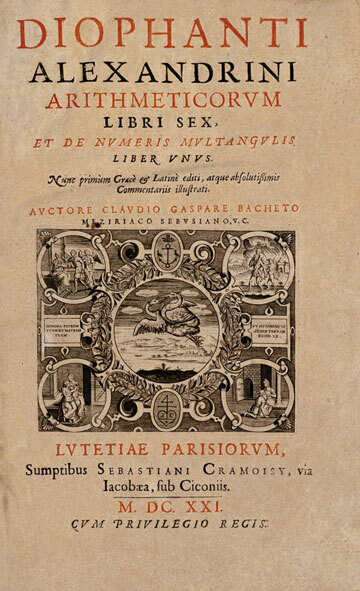 The book was a 1621 edition of Arithmetica by 3rd century mathematician Diophantus and its actual margin looks generous by my standards, although I am no mathematician. [Above: Wikipedia, public domain.] It may never be known if Fermat’s solution was correct or if he was joking, although he didn’t seem much of a jokester and his other mathematical work was accurate. Furthermore, his unsubstantiated comment was taken so seriously that it was included in later editions of Arithmetica (below: Wikipedia). Many others tried and failed to solve Fermat’s Conjecture over the next three centuries until 1994 when British mathematician, Andrew Wiles, came up with the answer. Scribbling in the margins of library books or books of your friends is bad form, but marginalia in personal materials conveniently identify meaningful passages or record pertinent or tangential thoughts. Some mental process pauses readers from reading long enough to acknowledge the adjacent text in some way. Marginalia are evidence of our effort to find meaning in the things we encounter. Electronic books allow similar personalizations, although it’s not quite the same, in part because electronic screens lack the comforting tactile sense of paper. Electronic formats, however, offer new opportunities and challenges for marginalia: private marginalia can become public, aggregated, and analyzed. Audio books allow listening as we close our eyes or move physically through life, but as much as I like audio books when driving, the opportunity to make marginal notes is problematic and any spontaneous thoughts I have when hearing certain passages are usually gone from memory by the time I’ve reached my destination. The compulsion to annotate or otherwise leave personal evidence of one’s presence or thought pre-existed books and is widely exercised on other cultural artifacts and the environment-at-large. 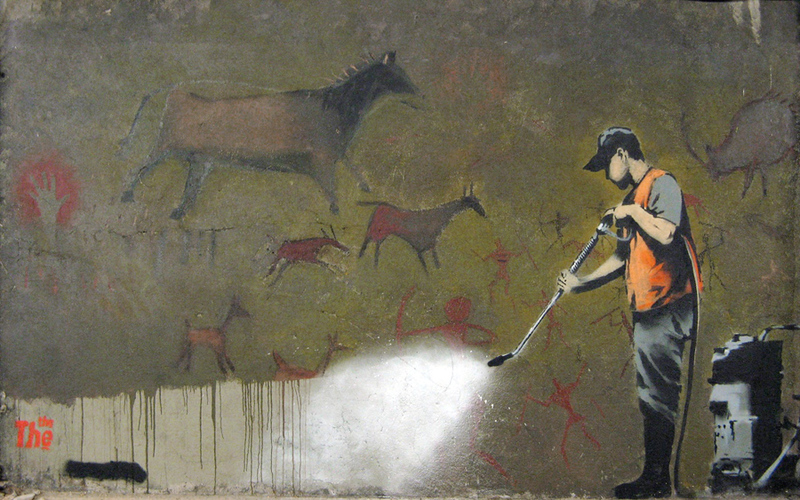 Cave paintings, rock carvings, initials on tree trunks, furniture inscriptions, children’s heights on door frames, and urban graffiti are footnotes of ourselves and plant notice of us for the future. The cliché George Washington Slept Here was a 1942 play and film about a couple who moved into a run-down farmhouse (because of their dog) and they discover the first president actually stayed there during the Revolution. 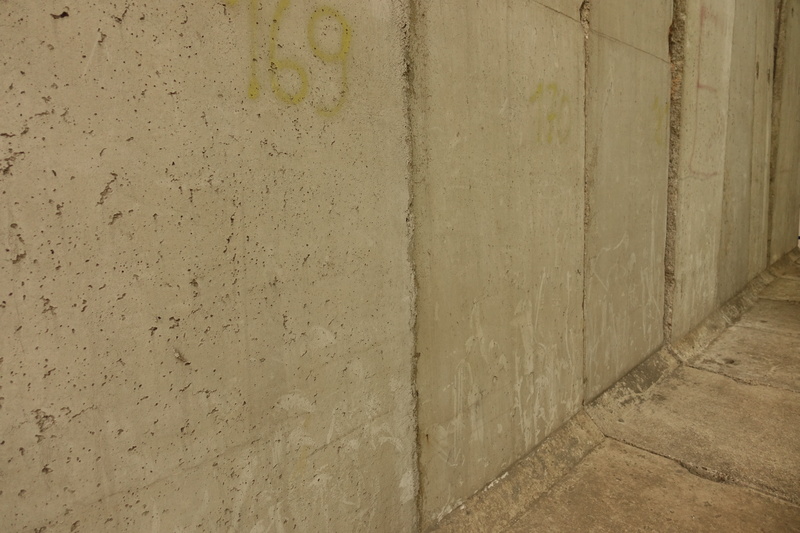 The top of this posting shows a section of the Berlin Wall that faced the free part of the city, while below you see the unmarked reverse side that faced the Soviet side. 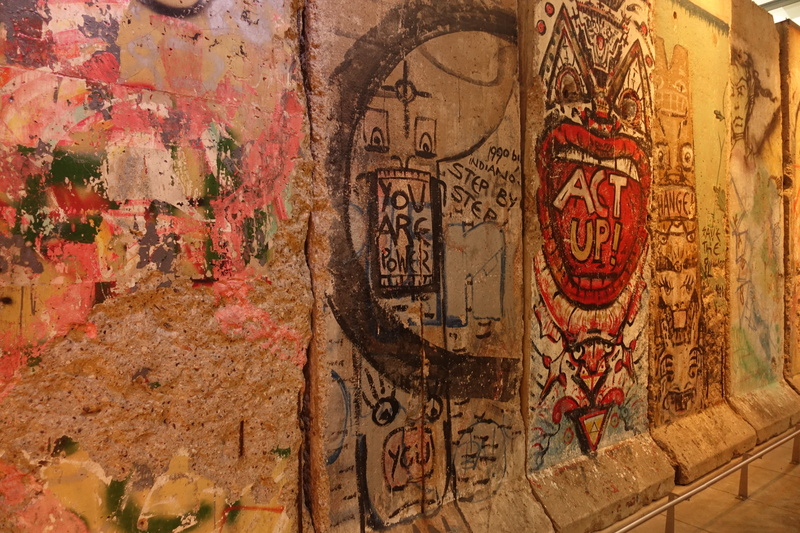 These sections are on display in Washington, DC at the Newseum and were salvaged after the wall came down in 1989. The contrast is stark. Urban graffiti, as annoying and vulgar as it can be, are an expression of personal freedom and the 45 words of the First Amendment that represents a core belief of our representational democracy. A video display at the Newseum displays interviews on a random street showing that people are far more likely to be able to identify all the members of Homer Simpson’s cartoon family than to know the five freedoms of the First Amendment (religion, speech, press, assembly, and petition of the government). The video references national surveys that support this unfortunate observation showing 20% of Americans can recall all Simpsons, whereas only 3% know all five freedoms. It was an inspiring speech. As an aside, the official portrait of Kennedy (above: painted by Aaron Shikler, whom Jackie Kennedy selected after the assassination) is on display at the Smithsonian National Portrait Gallery, along with all presidents up through Barack Obama (recently unveiled). 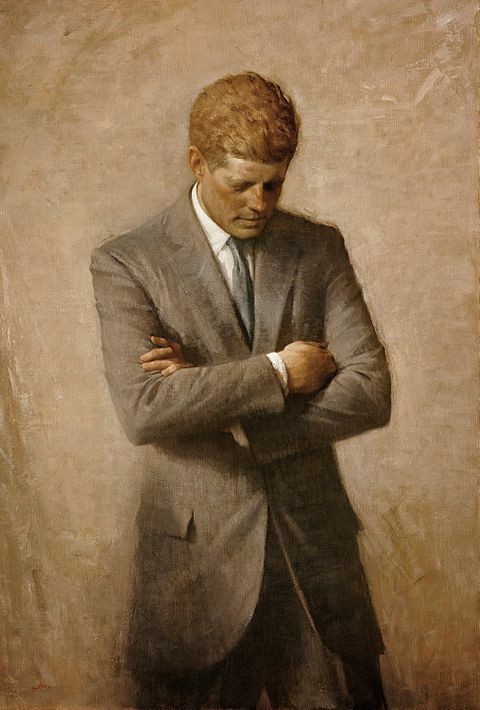 The Kennedy portrait is the only image of a president looking down and away from the viewer, that having been Jackie’s choice. Eleven years ago today, 2 March 2007, was the second day of my time as chair. Going to my computer I found digital images from that time in our department, including this early picture (above) of the board in my office. This has served as my functional marginalia for the Department of Urology for the past 11 years. Faculty are in the boxes on the sides and activities, units, and projects in the middle. 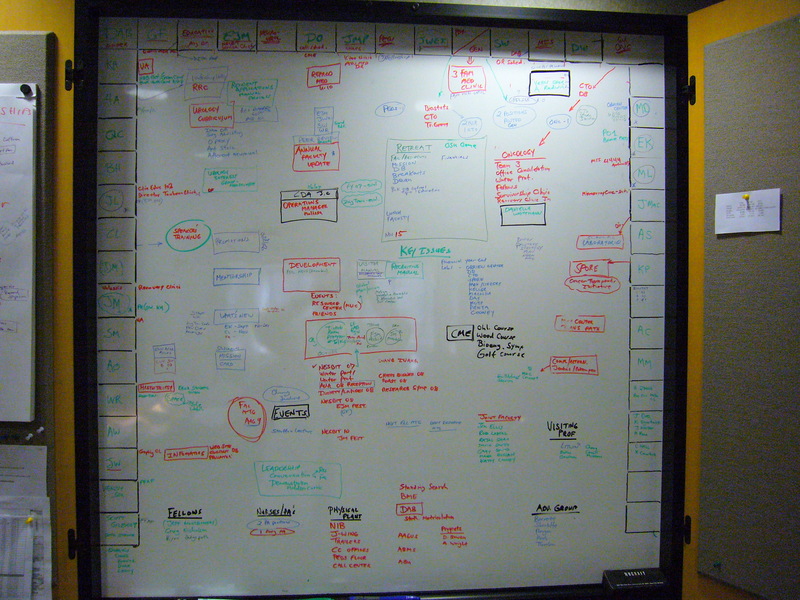 The board changed over the years as we grew and became more complex. 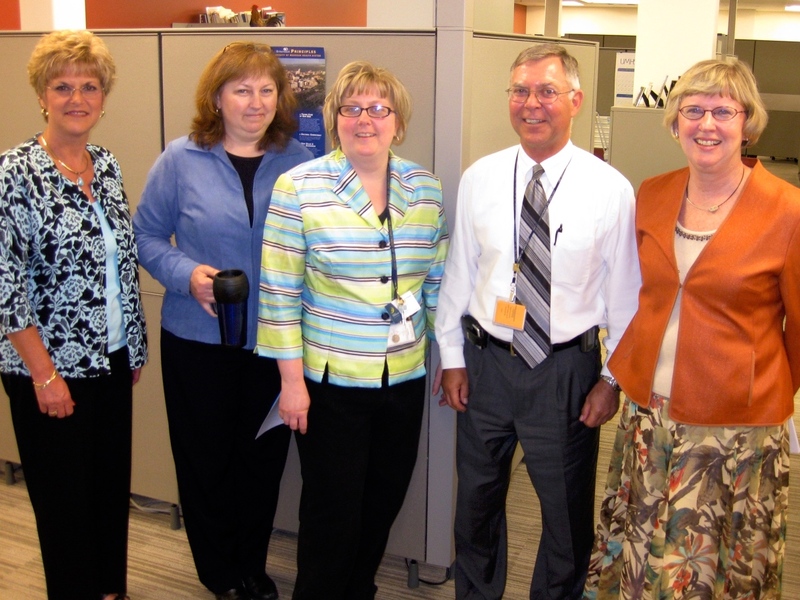 The picture below shows one of our visits to the billing center in the KMS Building south of I 94. Jack Cichon (now retired) was our stalwart Chief Department Administrator (CDA) and Malissa Eversole was then his understudy, having since then come into her own as our current CDA. Below you see Ed McGuire in the center with 2 of his former fellows (now faculty) on the left (Anne Pelletier-Cameron and Quentin Clemens) plus Stu Wolf (faculty) and Walter Parker (resident) on the right. Since 2007 the changes in healthcare education, research, and clinical delivery have been head spinning. Today the UM Medical School and health care system is rebranded as Michigan Medicine. The time has flown by, in my mind, and if this present interval of stewardship of the Department of Urology is deemed successful in any measure, the success is due overwhelmingly to our faculty, our residents, our nurses, our physician assistants, our researchers, and our staff. Sister departments in the Medical School and this great University also account for our success; we flower in fertile soil. Steelhead rainbow trout (Oncorhynchus mykiss) hatch in inland streams and then swim downstream to forage in the Great Lakes (or the ocean, on the west coast) for 2-3 years. Winter-run steelhead are sexually mature and generally have a shorter run to their spawning grounds, whereas the summer-run steelhead are sexually immature when they leave the lakes or ocean and travel deeper inland. Actual spawning for either type happens in late winter or spring. These Pacific rainbow trout were introduced as immigrants from California to the Au Sable river around 1876 and after many generations are well established residents although state-managed hatchery programs supplement the existing wild fish. 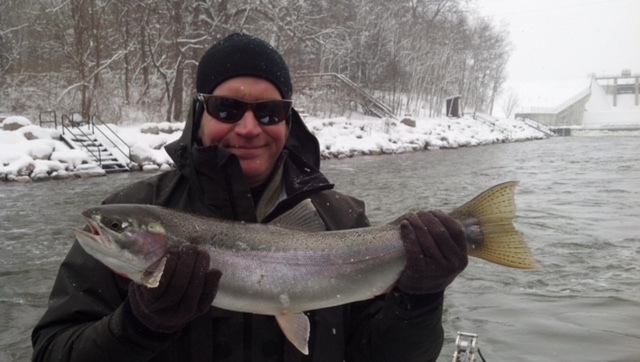 Steelhead provide a loose metaphor for medical professionalism. We train our successors in the streams of academic medical centers and on maturity they go off to do their thing in the wide world. Toward the end of their careers many of them want to reconcile with their origins and travel back upstream to check out their starting points. Forgive me for stretching this analogy, but I do want to put in a plug for our Nesbit alumni, former students, and friends of the department to come back for one of our academic events, particularly in the next two years as we gear up to celebrate the Centennial of Urology at Michigan in 2019-2020. 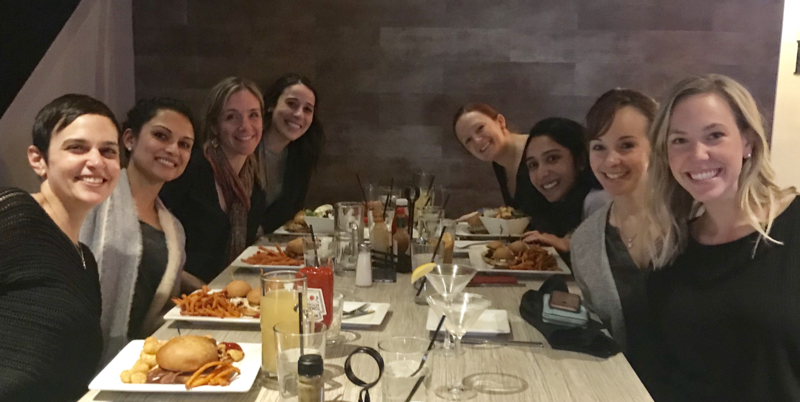 Fish and urologists. Fish have twofold purposes. Primarily they pass along their DNA to their successors and secondarily they serve the larger planetary ecosystem. The optimal life span of a steelhead allows 4-6 years for one or more foraging careers in the wide world, although some Pacific steelhead live as long as 11 years and grow to 55 pounds and 45 inches, according to the National Oceanic and Atmospheric Administration (NOAA) Fisheries website. Medical professionals have a fundamental purpose of caring for their fellow creatures, motivated by genetically crafted mirror-imaging that produced the essential human phenotypes of kindness and empathy. Secondarily, healthcare people serve their ecosystem by educating their successors and expanding the armamentarium of knowledge and technology. The career of a urologist is 40 years, give or take a decade, foraging in the real world of clinical medicine. While steelhead must adapt to gradual warming of the oceans, urologists need to adapt to rapid changes in knowledge, technology, and regulatory matters. Technology and market forces are driving changes in urologic practice at least as much as scientific evidence, leaving practitioners and patients sometimes uncertain of what treatment fits best. Urologists are skilled in techniques and technology to solve urological problems but, no less than any other physicians, urologists also offer their personalities, opinions, and reassurances to patients throughout interactions that are bundled under the unfortunate label “encounters” in today’s workplaces and medical records. The language and demeanor experienced by patients often are just as meaningful to them as any treatment or technology. Indeed, the non-technical aspects of the encounter may impact the patient more than any specific medical service. This is a prime difference between the professional and a commodity natures of health care. People, as patients, treasure the right human touch. The essential deliverable of our department is kind and excellent patient care, thoroughly integrated with education and innovation at all levels. This is not just our priority, but the priority of Michigan Medicine. Below is another picture I found from 2007 showing a faculty member and two residents who exemplified that essential deliverable back then and do so today in their new locations: Gary Faerber, now at the University of Utah; Emilie Johnson, faculty at Lurie Children’s Hospital and Northwestern Medical School; and Kathy Kiernan on the right, faculty at the University of Washington and its children’s hospital. The human touch is also conveyed by words. A recent Viewpoint in JAMA by Arthur Barsky of the Department of Psychiatry at Brigham and Women’s Hospital is worth reading. [Barsky. JAMA. 318:2425, 2017]. The title sums it up: The iatrogenic potential of the physician’s words. Barsky invokes viscerosomatic amplification to explain how a physician can affect through words and attitude. (As is usual on these pages, we use physician as a synonym for healthcare provider.) Techniques and technology are unquestionably at the core of urologic practice, but the art of clinical practice is far more than its tools and treatments. Kindness, words, and professional touch are no less essential. Expectation. Human brains add further dimensions to medical treatments, with the matter of expectation. Every treatment carries the possibilities of real benefit or harm, but another two-edged sword exists in our capacity for imagination, something we cannot easily turn off. We may readily imagine benefit even when no physical or physiologic benefit can be explained (the placebo effect) or we may imagine elements of harm (nocebo). Placebo and nocebo effects confound medical treatments when a therapy (legitimate or bogus, scientifically-validated or apocryphal) has a more positive or more negative effect than it rationally should have. This reflects changes in psychobiology rather than changes in physiology, pharmacokinetics, or other factors that are directly measurable or attributable to the treatment. Nocebo, the evil twin to the placebo, is a term coined in 1961 by WP Kennedy. [Kennedy WP. Med World. 1961; 95:203, 2013.] The evil twin metaphor came from Michael Glick in an editorial in the Journal of the American Dental Association. [Glick M. Placebo and its evil twin, nocebo. JADA.2016; 147:227.] The nocebo effect occurs when negative expectation of therapy exacerbates the negative effect that the treatment rationally would cause. For some patients a given therapy, let’s say a radical prostatectomy, in addition to successfully removing a malignancy (from which direct harm might have been years away) with minimal detriment to related anatomic structures, might produce a sense of relief that carries with it additional placebo effect. For other patients a nocebo effect negatively magnifies the overall therapeutic experience and collateral damage of any attendant detriments. Every patient responds individually and idiosyncratically to an expectation and to a treatment. These phenomena, placebo and nocebo, should be anticipated for almost everything we offer in healthcare, and to the extent that we understand these possibilities and prepare patients and their families for them, we will improve the patient experience. This is one of the myriad ways that complex health care cannot be easily managed as a commodity or by artificial intelligence. As scientific medicine emerged in the 19th century it consolidated into subspecialty medicine in the 20th century and anatomic, physiologic, and microbial determinants became the focal points of healthcare. Cognitive and social factors were “marginalia” of most patient encounters. Now, in the 21st century it is clear that cognitive and social factors are equally important parts of everyone’s healthcare needs. Our profession and its business are no longer accurately described as the matter of “medical care”, but rather the matter of health care. A prescription for a treatment or an operative procedure may be based upon symptoms and observations as entered into checklists and databases. Emotional responses and social determinants are not so easily factored in electronic medical records, particularly within the constraints of time-constrained encounters. Watson and other artificial intelligence systems are working their way into examining rooms, bedsides, and operating theaters, but these are not as effective in sensing the co-morbidities, social determinants, and other “marginalia” of the human condition, as is an attentive and kind human being. Artificial intelligence engenders great enthusiasm, but humanity should never surrender its ultimate agency to algorithms created by a self-empowered cadre of programmers. John Hall, Nesbit Alumnus 1970, wrote recently and gave me permission to give his note wider distribution here in Matula Thoughts. I came to know John after I came to Ann Arbor, largely through his high-quality practice, a sliver of which I appreciated through his pediatric referrals, as well as his local care of people I knew in the Traverse City area where he worked. Letters like his are one of the great pleasures of mine with What’s New our monthly email and it’s sibling Matula Thoughts, the web version. As we get closer to our Centennial and to reformulating our departmental history, his recollections, and perhaps yours as well, will be important to us. “Hi Dave, I was just reading your letter of December 21, 2017. It made me think of the 5-6 doctors who staffed Urology during my training. Your staff will be limited to how many names you can put in the letterhead margin. It’s like how many doctors can fit on the head of a pin. I finished my training in 1970, Urology 50. 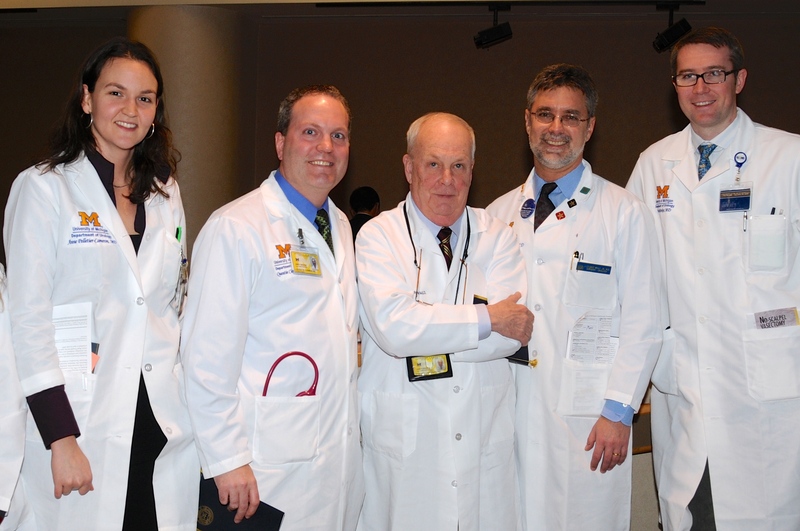 By 2020, Urology 100, if I’m still kicking I will be one of the few to span the history of the department. I started my contact with Urology as a student and served as a “nurse” in the Urology dialysis center. I took the vitals as the residents stirred new electrolytes into the Kolff Twin Coil Baths. As a result, I knew many of the residents from the fifties and sixties. 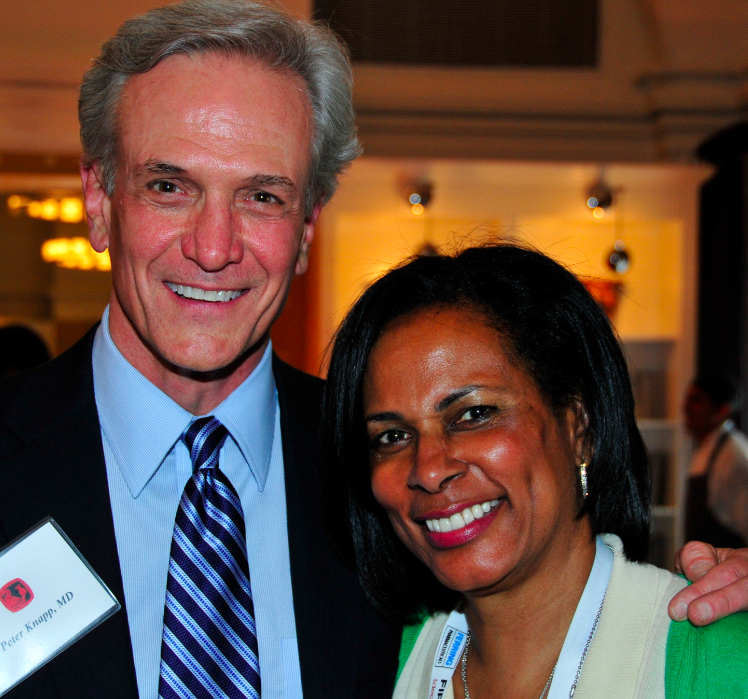 Also, since I was appointed to residency by Dr. Nesbit, I met many of his trainees who now directed new urology departments, when they returned to AA [as visiting professors or guests], I also once met Dr. Huggins. Thank you, John and yes, please continue your perspectives! 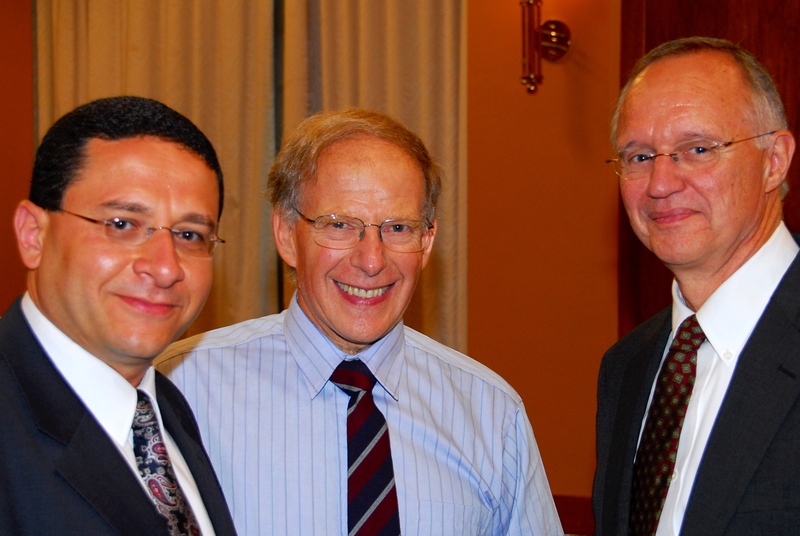 Much is contained in John’s brief note: the idea of 100 years of urology in AA, the imprinting of students, the Kolff “artificial kidney”, Nesbit alum and Nobel Prize winner Charles Huggins, and the long list of chairmen Nesbit trained. Overstated only is the disproportion of historical knowledge between me and John – he knows vastly more about that midpoint in Michigan’s urologic story and I hope we can get as much as possible in print for you and others to understand our perspectives. 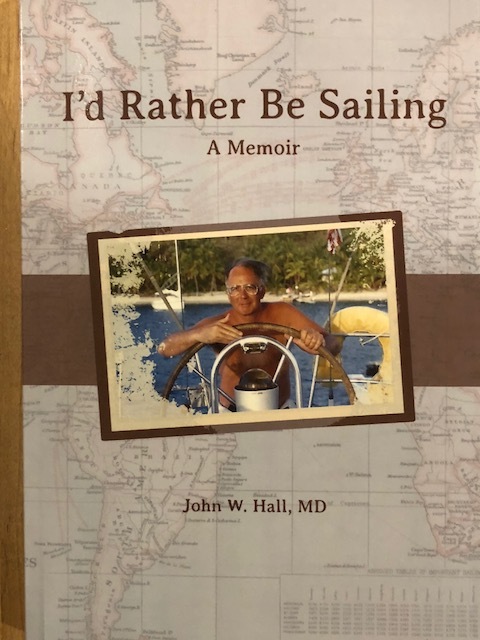 Since that note, John sent me a copy of his book “I’d Rather Be Sailing” and I expect to go through it and decorate it thoroughly with my own marginalia. 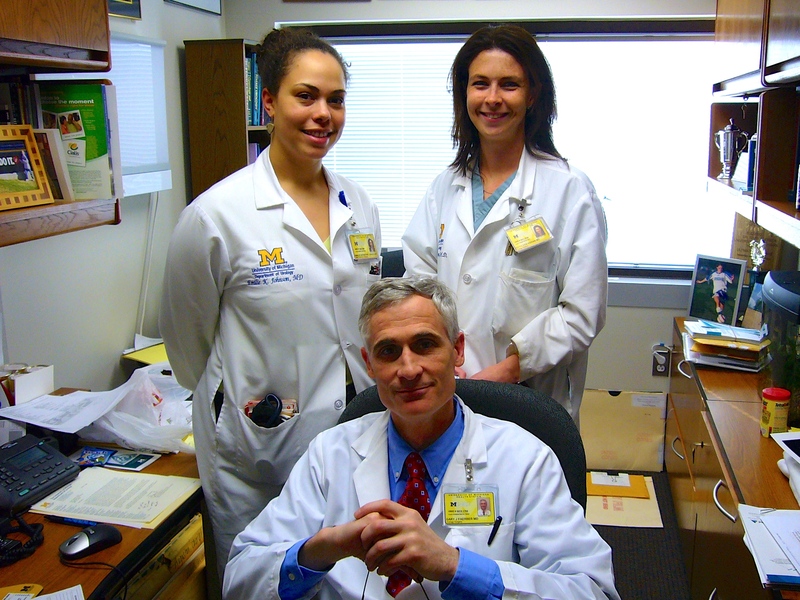 As we reconstruct the 100-year story of Michigan Urology it will be the personal marginalia of alumni such as John Hall that provide the context, color, and personalities to illuminate the names and dates of our narrative. With a few weeks until Spring, 2018, best wishes from David Bloom and Michigan Urology.